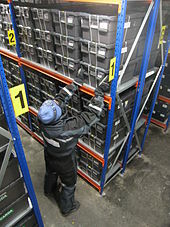 Welcome to the Svalbard Global Seed Vault, which turned 10 on Monday. It holds nearly one million seed samples from the world’s gene banks – an agricultural back-up in the event of disasters ranging from nuclear war to climate change. That means the world needs to produce more food that is more nutritious, and to do so “on less land, with less water, less pesticides, less fertilizer to keep within what the planet can stand”, Haga said. It is true that the high dependence on less and less crop variety is a risk. But relying on the vault? But as with much of the land above the Arctic circle, the mountain containing the vault—and all the land around it—is made of permafrost, the thick layer of compounded plants and animal bones that has been frozen since the last ice age. When ice and snow melts in the Arctic during summer, permafrost—theoretically “permanent”—does not. At least it did not, historically. But thanks to climate change, the permafrost now is thawing, releasing greenhouse gases while causing the land to subside and pools of meltwater to form on the surface. The people behind the seed vault’s perspective were not prepared for that when they built it in 2008. Scientists at the time were just beginning to understand what a threat global warming posed to the frozen layer. So, while having seeds protected can make sense, we need Jesus’ return. This does not mean that no physical preparations should be made–but they will not save anyone in the long run. Are Americans & Asians setting themselves up for destruction from antibiotic use? In the Spring of 2015, a study came out highlighting the increasing use of antibiotics fed to livestock in order to decrease production costs. This was mainly affecting livestock in the Americas and Asia, but not in Europe. Excessive antibiotic use increases the risks of ‘super bugs’ and presents health risks to humans and livestock. Could those in the USA, Canada, UK, Russia, China, India, Brazil, and South Africa be setting themselves up for pestilence and/or famine? Could Europe miss some plague because of this? What does the Bible prophesy? This is a video. This entry was posted on Tuesday, February 27th, 2018 at 4:00 pm	and is filed under Prophecy. CBS: The Doomsday Vault: Humanity’s salvation? EU proposes to control all seeds?